The world we live in today has changed drastically over the years… And the future is not looking any brighter... Technology and the progression of convenient lifestyles have adversely affected life as we know it. Eating more fast food and processed meals and cooking less frequently at home has become the wave of the present and future. Our kids are not playing outside anymore, partially because of parental precautions for fear of their safety, also due to the unrestricted use of video games and the World Wide Web. Parents are allowing their children to be consumed by these items of entertainment, without incorporating daily physical activity. Mean while placing convenient unhealthy meals before them, as they get ready to begin the vicious cycle again tomorrow. Our busy lifestyles, technological progressions, and the comfort of convenience have come back to haunt us in a major way as Americans. And we are paying for it with our lives… Within the last two years, 3 of my immediate cousins who were siblings, died due to obesity and cardio vascular disease… They were all 50yrs old or younger. The youngest of the 3 was just 42. My Uncle, who is suffering with morbid obesity himself, buried 3 of his daughters all within a year of one another, due to their unhealthy living. They were all deaths that could have been prevented through education and improved lifestyles. My name is Paul West and I have recently discovered my passion in life… This newly found passion is to contribute to the change of American lifestyles through education and inspiration. I have personally dealt with obesity all of my life. In childhood, I remember only being able to fit “husky” clothes, and wearing adult clothing as young as 9 years old. I have weighed more than 400lbs on two separate occasions, losing an average of more than 200lbs each time. On the second occurrence my weight climbed to an extremely unhealthy 450lbs. Just recently I have lost more than 225lbs and 20 inches in my waist alone. I have taken a personal oath never to return to unhealthy living again. Now in my mid 30’s, I feel better than I have ever felt in life. I have never had surgery nor visited any doctors or clinics for weight loss. I naturally accomplished this feat by not only changing my body through exercise, but most importantly changing my state of mind, and way of thinking. Educating myself about health, nutrition, and fitness by studying the blue print of various foods and their effect on the body has truly permanently changed my life through the process of understanding. I am now confident that I can inspire positive change in countless lives through my LIFE experience, because today’s America can relate to me, and my struggles. Along this journey, my passion has also led me to acquire a national personal training certification from the World Instructional Training School. 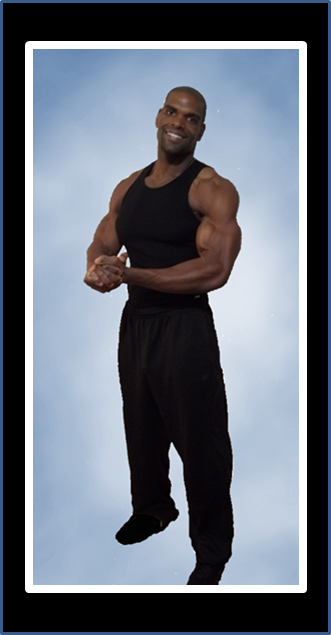 I am currently employed as the Sales Manager of Energy Sports and Fitness in Charlotte NC, where M.A.T.E is headquartered. I am also receiving a Master’s Degree in Health Studies from The University of Alabama, Tuscaloosa (class of 2013). I feel that with my life’s testimony and earning an asset as great as a Master’s Degree in Health Studies from your illustrious institution, there would be no doors that would not open, and no bridges that could not be crossed on my journey of contributing to a healthier America.